To mark the 50th anniversary of the publication of Robert Venturi’s Complexity and Contradiction in Architecture, MoMA and the University of Pennsylvania are holding a three-day symposium taking place from November 10th to 12th in New York and Philadelphia. Details on the events that are free, open to the public, and don't require advance registration are below. The event also includes a $45 bus tour on the 12th and a conversation with Denise Scott Brown on that evening, which is free but requires an RSVP; details on those can be found on MoMA's website. 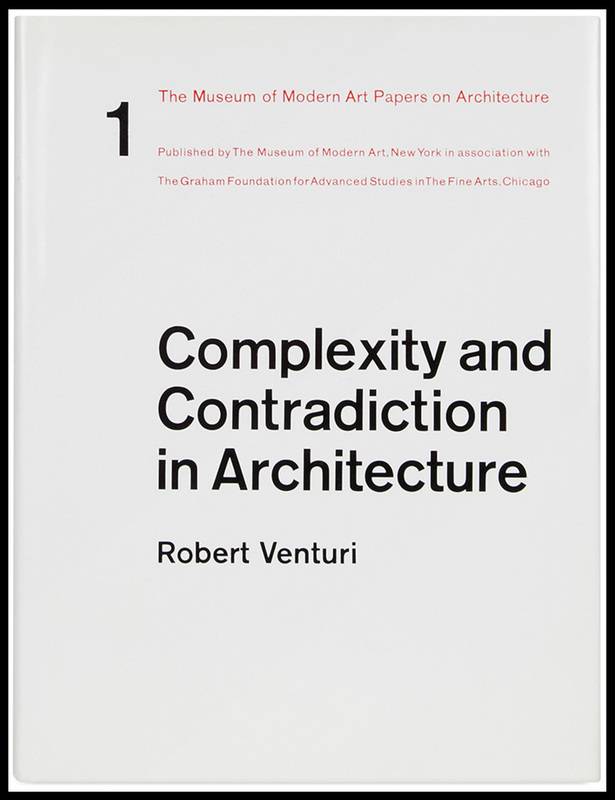 To mark the 50th anniversary of the publication of Robert Venturi’s Complexity and Contradiction in Architecture (1966), The Museum of Modern Art and the University of Pennsylvania have co-organized a three-day symposium bringing together international scholars and architects to discuss the significance and enduring impact of this remarkable book, published by MoMA 50 years ago. It is generally agreed that Complexity and Contradiction, described by its author as a “gentle manifesto,” has lived up to the prediction made by Vincent Scully in the book’s preface: that it would be the most important architectural text written since Le Corbusier’s 1923 manifesto Vers une architecture.